In this tutorial, we will teach you what exactly you have to do if your Nokia Lumia 1520 hang out of a sudden ( which we know is very rare given its absurdly fast processor ). The procedure is simple, all you have to do is to hold the Volume Down, Camera, and Power buttons simultaneously until your device vibrates. After that your device will automatically reboot, and your device is up once again. Although it is very simple, many actually do not know what to do unless they come across any of such articles. 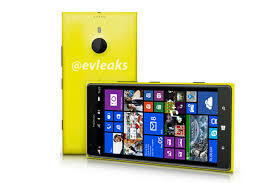 So do share with your friends who owns the Nokia Lumia 1520! Similarly, if you have any queries regarding any of the steps above, do feel free to comment below the post so that we are able to assist you!